Wow! 2 reptiles in the same day! I love the pattern on the dragonfly wings. 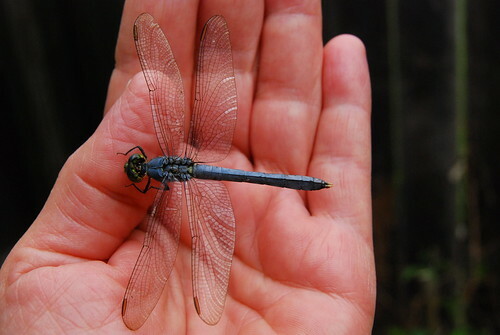 What did the dragonfly say..
She told all of her friends, I told you I could do it. It wasn't bad at all and the hand was warm!